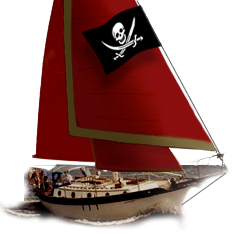 Westsail Owners Alliance - Post: "Rigging Vice"
Thanks Jean - I'll follow up as well. But go ahead and snap it up if you need it. To get the W28 boat in the water quickly and at less cost, I went with swaged fittings on the rigging and reusing the existing toggles. But would like to start replacing things sooner or later. Probably later. I like the idea of knowing how to splice to be a "self-sufficient" cruiser, but it seems like if we do set out cruising it will be when the kids are a bit older (say 5 years older) it will have to be in a bigger boat. W28 is perfect for 2, and fun to sail right now, but way too small even for a comfortable weekend for 2 adults and 2 toddlers. And forget about having enough room for all their gear. Keep me posted if you do get going with splicing. You wouldn't happen to be in Southern California would you? That would be ideal.